A superb Chinese jasmine tea rolled in traditional tight pearls. To scent jasmine tea, the youngest leaf tips are layered with jasmine flowers for up to a week until the luscious scent is highly infused in the leaves. 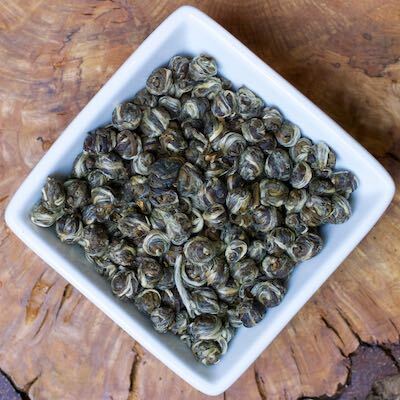 The leaves are then hand rolled into pearls yielding an intense, slightly sweet, floral flavor.